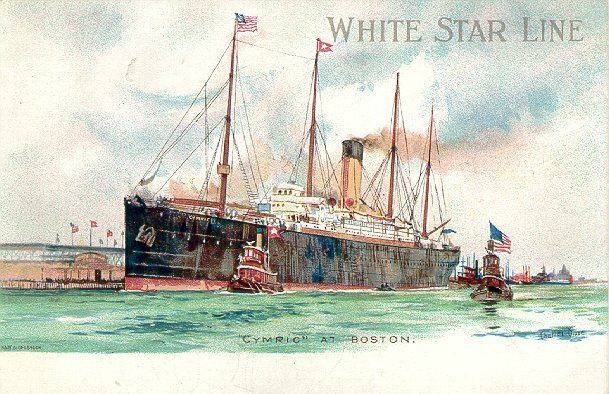 Cymric was intended to be White Star's last cattle carrier, but the cattle space was omitted during construction and additional third class space was added instead. 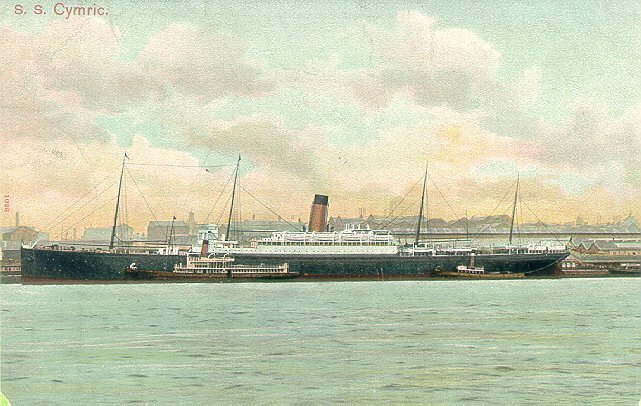 Launched at Harland & Wolff on 12 October 1897, she was White Star's largest ship ever (and the fourth largest ship in the world) when she took her maiden voyage, Liverpool-New York, on 11 February 1898. 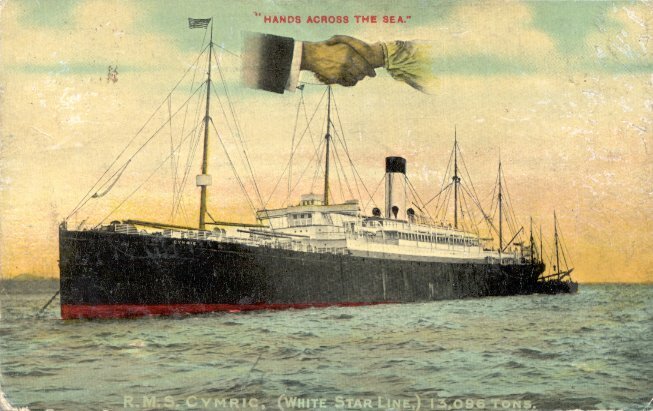 Cymric remained on that service for almost six years, although she also made two Boer War trooping trips from Liverpool to Cape Town in 1900. 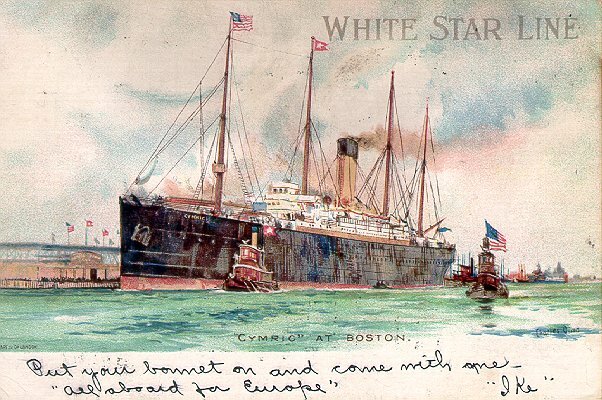 Then, in December 1903, when White Star took over the Dominion Line's Boston-Liverpool service, Cymric was transferred to that route. 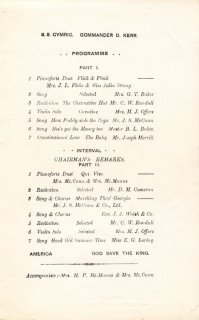 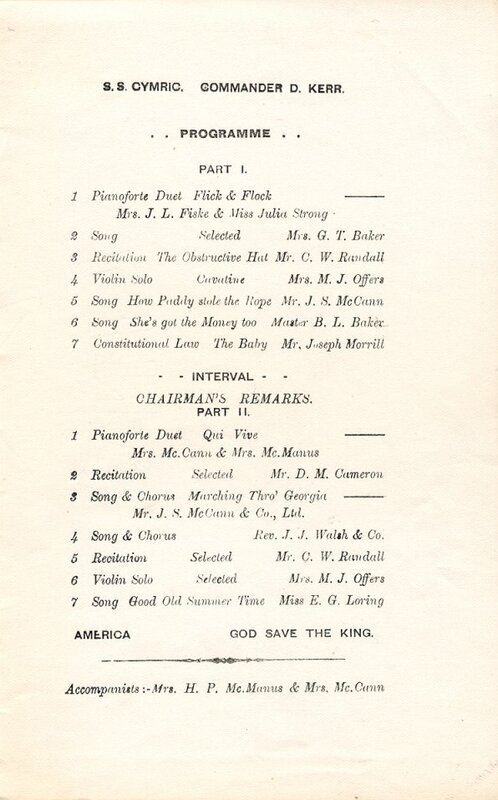 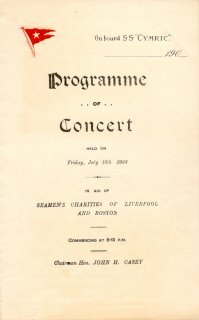 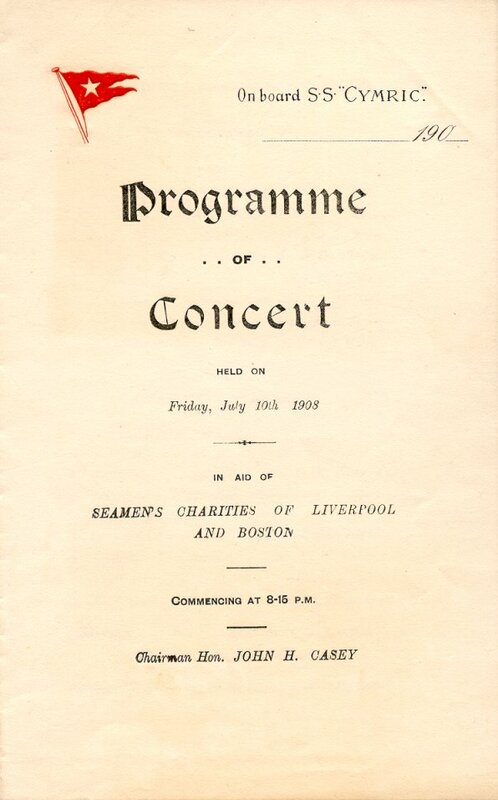 Except for one New York trip in January 1913, she remained on the Boston-Liverpool service until December 1914, when she resumed New York-Liverpool service. 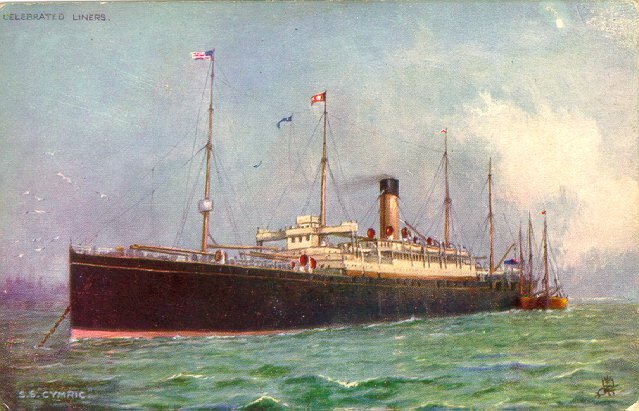 Sources: The New York Times, various date in 1898, 1903 and 1916; The Boston Herald, 17 September 1903; The Boston Post, 17 September 1903; Morton Allan Directory; Haws' Merchant Fleets; Bonsor's North Atlantic Seaway; Williams' Wartime Disasters at Sea.